The Massachusetts population — like all of us — is getting older. Already there are more people over 60 than under 20. At the same time, we’re losing institutions that care for people who need help, and we’re not developing the workforce to provide care. After 120 years, the Somerville Home will close in December. It’s a rest home, which provides more care than assisted living but not skilled nursing like a nursing home. The closing of the Somerville Home is not the fault of the staff or the board. It is certainly not the fault of the 47 residents. Some of them have lived there for decades; some moved there when other rest homes closed; some were previously homeless. The Home’s problem is that the state, which pays for almost all the residents, hasn’t raised its rates since 2012. All of the Home’s costs have gone up but their income hasn’t. Since 2008, 24 rest homes have closed; out of 147 rest homes in 1998, 53 remain. One that closed recently is now a doggy day care. Because of low state payments, rest homes often can’t access loans to upgrade their facilities and attract private pay residents who would pay higher rates. Residents who are displaced from rest homes often find no other such home, and wind up in nursing homes which offer less independence and cost a lot more. 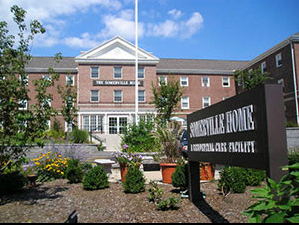 Already five Somerville Home residents are moving to nursing homes. I recently visited the home, and was really moved to hear some of the residents talk about how important their relationships with each other and the staff are, and how disturbed they are to have to move, perhaps far away from family and the community they know. We aren’t just losing rest homes. 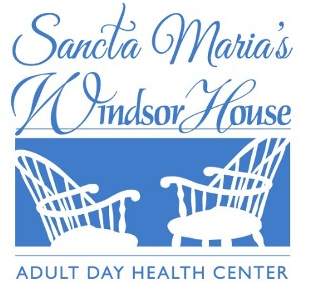 Last November the Windsor House adult day health program at Sancta Maria in Cambridge closed, displacing 47 people. Adult day health programs provide care during the day, allowing many people to live at home. 23 programs have closed since the last rate increase in 2012. Frozen rates don’t cover the cost of new requirements, or increases in health insurance premiums, earned sick time, minimum wages, and other costs of living. Many staff qualify for MassHealth. While nonprofit, high quality services close, some new, for-profit services have opened, but they care for private pay people.15-20% of those who are displaced when an adult day health closes enter nursing homes within 6 months; even if they find a new program, the disruption causes them to decompensate. Moving to nursing homes costs the state millions of additional dollars a year. Nursing homes are also at risk. Sancta Maria Nursing Facility in Cambridge was also scheduled to close in December, but in September announced a reprieve after hiring a new management company. At least eleven other nursing homes have announced their closure this year. Again, the closures are generally non-profit, high quality nursing facilities; they are being replaced by for-profit, multi-state, lower-quality homes, as reported by Kay Lazar in several Globe articles. Lazar found that for-profit nursing homes spend less on food and nursing care. Most nursing home residents are paid for by Medicaid, which reimburses $37 per day below the cost of patient care, according to Mass. Senior Care. The Senate has twice adopted my provision in the budget requiring CHIA to study costs in nursing homes: we need to understand why some nursing homes can’t make it, while others are bought by investors who expect to make a profit. That would be a first step to creating a requirement, as we have in health insurance, that a certain percentage of income go to patient care. Unfortunately, the provision didn’t survive conference committee. Of course it’s not just payments that has caused reductions in nursing home beds. More people, both publicly and privately paid, are receiving home care. 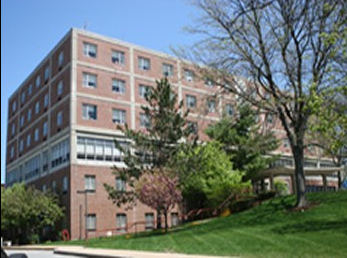 There are more assisted living residences, though only a few — like the ones run by the Visiting Nurses in Somerville — are affordable for most people. But low rates to agencies, and low pay for workers, are creating a crisis in home care as well. Each of these programs — the Somerville Home, Windsor House/Sancta Maria, and the Sancta Maria Nursing Home — was/is at risk because they primarily serve people who are paid for by the state, which has not increased its inadequate rates, although I and other legislators advocate for increases every year. Each was running at a loss. Each is representative of many other programs for older people which are closing while the number of older people is rising. When corporations, agencies and nonprofits hire executives, they justify high pay in order to attract the best. But when rest homes, or nursing homes, or adult day health programs, or other social service programs seek just to catch up with the cost of living, or to pay their workers a living wage, state officials say we can’t afford it. Do we need more revenue? That’s a major question in the governor’s race. Gov. Baker says we don’t. (The income tax will probably go down again in January if revenues continue high enough to hit the “trigger”). I don’t think we can continue to squeeze agencies and direct care workers. What do you think? I think we need to raise taxes on the wealthy, now. I think the plan put forward by Governor Patrick years ago — and shot down by Bob DeLeo and the lege — is an excellent starting point. No constitutional amendment is required. What is needed, instead, is the political will to do the right thing. I very much appreciate you offering this much-needed and timely post! We are aiding and abetting the downsizing of government to privatization to the detriment of our most vulnerable citizens. Shame on us all for allowing this to happen. We’ve painted ourselves into a corner, relative to early child care and elder care. Our culture tells us that we are our job and our job is something we do outside of our home/family. Without a job, we have no identity, no say, no platform, no legitimacy. Education is all about gaining skills and getting a better job. All citizens are expected to be employed. We live and die by the “unemployment numbers”. We are running out of affordable options for eldercare and child care because wages for the working class have stagnated and the wages we pay others when we outsource are not high enough to attract others to do the work. Frankly, I don’t see a way out of this so long as our culture insists that all citizens work a 40 hour week, 50 weeks a year. I’ve rambled on enough here, I guess. What I suggest we do to ease the child care and elder care crisis is this: Raise wages so that one income can support a family. Provide tax credits for families that raise their own children and take care of their own elders. Re-work our notion of valued citizen to include, at the same prestige, the caretakers of families….and tax the rich. I want to clarify, though, that this is older than the current information age — this paradigm began with the industrial era and got dramatically worse with the introduction of the automobile. Until the industrial era, mothers and fathers lived and worked in the same village or farm. Children grew up seeing their mothers and fathers at work and play and vice-versa. It was the industrial era that created the dehumanized “worker”. The factory took men, women, and children away from their homes and locked them inside factories well more than 40 hours a week. Unions were instrumental in limiting some of the worst abuses of industrial-age factory owners, at the cost of rivers of worker’s blood. The automobile age created the paradigm of fathers driving to jobs far removed from their family and home. Children seldom saw their father and never saw their father at work. Both suffered the consequences — a generation of children and their fathers still suffer painful dysfunction as a consequence of this unhealthy separation. Children had no healthy male role models growing up. Their public school teachers were mostly women. The primary care giver was usually their mom. The men they saw on a day-to-day basis were strangers working jobs, often jobs they didn’t like. The two-income household made this even worse as you’ve noted above. The lectures by Elizabeth Warren about this were the first thing that impressed me about Ms. Warren years and years ago. I know that you dislike her — yet Hillary Clinton nailed this issue in 1996 with It takes a village. America in 2018 generates more wealth than any society in human history. It is obscene that so many Americans live lifetimes filled with chronic economic suffering. While she may have nailed the issue to some, but when she referred to taking care of ones family instead of pursuing a career as “I suppose I could have stayed home and baked cookies and had teas”, she lost credibility with me and others. I’ve never met her so I can’t say that I do not like her. I can admit to not supporting the neoliberal approach of her and her husband that views markets as the default approach and only using government to correct market failures. I guess you prefer women to stay home, bake cookies, and have tea. How dare a woman be strong, articulate, and pursue a profession. I know many “strong and articulate” people who never pursued a “profession”, including but not limited to myself, thank you very much. Why did we choose that path? I can only tell you that I was raised by my father to put family first and never judge a person by their occupation outside the home. My friend Jorge, (not his real name) is an accomplished micro biologist but when he and his wife started a family, they decided that one would get the chance to stay home and be the caretaker, and the other would stay in the employment of others to make money.. In his mind, he got the better part of the deal. Oh, and he’s strong, articulate, and knows how to select produce that is high in nutrition. I’m not here to knock professions or those who do not seek professions, and calling those without professions “cookie bakers and tea servers” is an affront – and so it implying that those without professions are not strong and articulate. I agree with everything you’ve written except your false insinuation about Ms. Clinton’s 1992 comment. I heard Ms. Clinton’s 1992 comment differently than you. For those who do not remember the context, she was under ferocious attack from the right wing about her role as practicing attorney working for a bank (Madison Guaranty) in 1978 — fifteen years prior to the 1992 interview. Her pursuers attacked her for pursuing her career while her husband served Arkansas as Attorney General and then Governor. I suppose I could have stayed home and baked cookies and had teas, But what I decided to do was pursue my profession, which I entered before my husband was in public life. This was NOT an example of a woman “professional career as a powerful attorney as more interesting/fun/rewarding than running a home and taking care of her family”, this was instead an established professional defending herself from personal attacks that were as hostile then as they are now. You write that a woman “ought to be allowed that choice if it is economically possible”, and then attack her for defending herself from the brickbats that follow nearly all women who make that choice. I suspect that your friend Jorge received similar attacks for “squandering his education and career” — I know I did when I took time off to care for my small children. The few men I know who’ve made that choice (it is a very difficult choice for most young families, because the gender wage gap makes the father’s income higher and therefore harder to give up than the mothers) have received similar attacks. You say that you’re not here to “knock professions or those who do not seek professions”. Yet what you do is knock a high-profile woman for speaking honestly about the harassment she received in 1992 for pursuing her legal career. Ms. Clinton did not attack anyone. She has lived a lifetime of loyalty to her husband — and been viciously attacked by “conservatives” who claim they support “family values” (like marriage and commitment) for doing so. I get that Ms. Clinton is not your chosen candidate, and that’s fine — she’s not running for any office as far as I know. What I find offensive are sustained personal attacks that misrepresent statements of fifteen years ago about events of thirty years ago. Such attacks are sexist and misogynist.